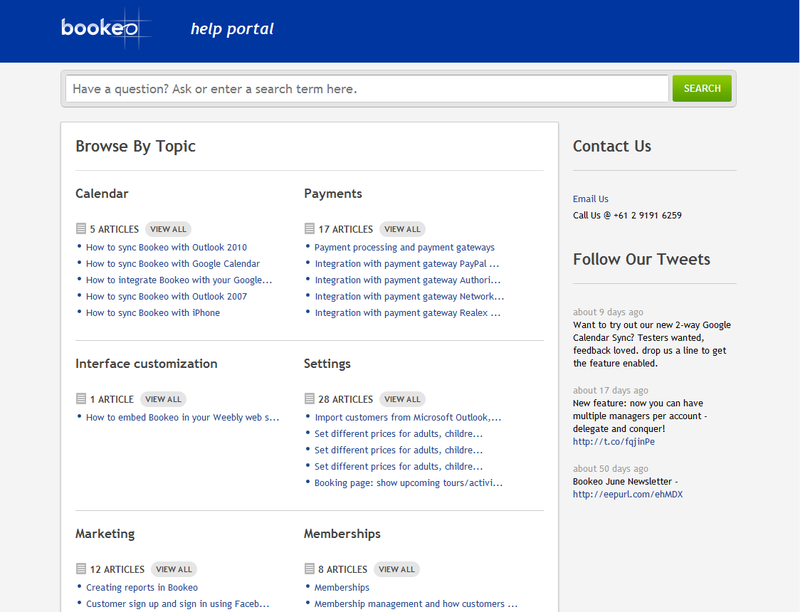 As of today, the new official Bookeo Help Portal is launched! We’ve been working hard in the last few weeks in writing a ton of documentation articles and step by step tutorials, with rich screenshots and usage examples, and the result is an extensive portal that guides new and existing users through the many features offered by Bookeo. 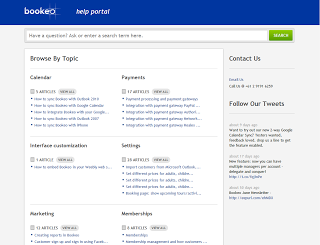 The address of the portal is: support.bookeo.com and you can also reach it from your Bookeo account by simply clicking on the ‘get help’ link at the top. What’s more, most pages in Bookeo will now show direct links to specific articles that provide detailed help about the page / feature you’re viewing. Make sure to look for those ‘Learn more’ and ‘Help’ links everywhere! Obviously our direct, personal support is always at hand, and will now be based on a professional ticketing system. 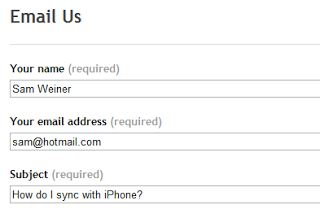 This will help us to keep a full history of every interaction we have with you, so that our support will be even more precise and personalized – we will always have full view of your full history of questions, requests and answers. You can contact us through one of the contact methods offered in the portal, or at support@bookeo.com . 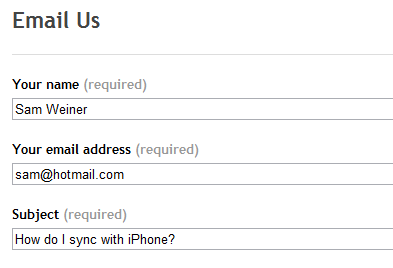 The old support email address will still be working too. So please take some time to explore our new help portal, and as usual do not hesitate to contact us directly, through the portal or via email at support@bookeo.com, for any question.